So I finally made use of this little glass jar I've kept around for a while. With Nicholas' exacto (thanks Nicholas!) I scraped off "Peppercorns" and wrote in "Hair Pins" with a paint pen! 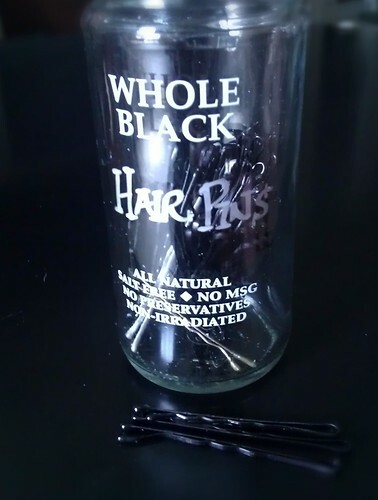 All natural, salt-free, non-irradiated hair pins. A fashion necessity.